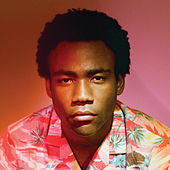 Childish Gambino is one of those love-him-or-hate-him dudes. He refines Drake's suburban-nerd-as-rap-pimp into boy-meets-world high drama, replete with fluttering orchestral melodies and plaintive singing. Because the Internet isn't as histrionic as Camp, but it lacks that album's incisive childhood bullying stories as he mulls on adult concerns like love, one-night stands, struggling with fame … you know the drill. But give him credit: The production is sharp, and several cuts emerge as standouts, including "Telegraph Ave," "3005" and "Pink Toes."